A WHARFEDALE MP has joined calls for fibromyalgia to be recognised as a medical condition. 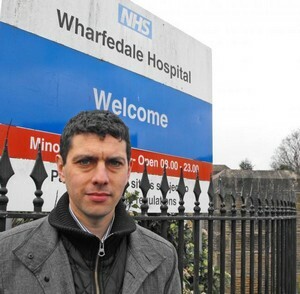 Alex Sobel (Lab, Leeds North West) also believes sufferers of the syndrome - a long-term condition characterised by chronic, widespread pain - should be eligible for Personal Independence Payments (PIP). Fibromyalgia’s effects include extreme fatigue, increased sensitivity to pain and difficulty sleeping. Mr Sobel raised the case of one of his constituents, James, at Westminster Hall last week: and recounted how he had struggled to get help. Fibromyalgia sufferers believe gaining DWP (Department for Work and Pensions) recognition would be an important step forward.